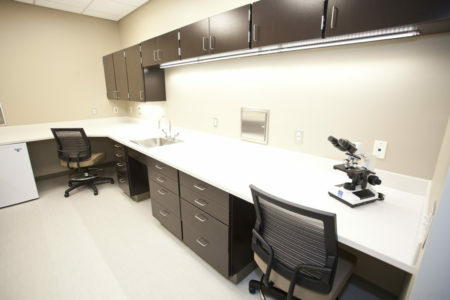 InterCare Community Health Network - Byce & Associates, Inc.
Byce & Associates provided Architectural, Interior Design and Engineering services for the construction of InterCare Community Health Network’s new 9,155 square foot Women’s Health Center. 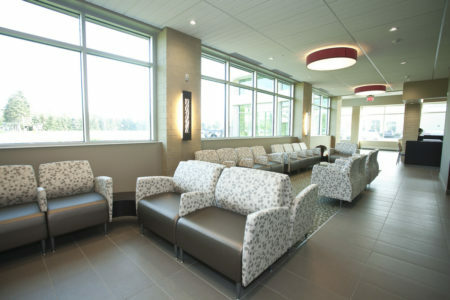 The new facility creates a campus complex expanding InterCare’s existing Benton Harbor Primary Care Clinic. 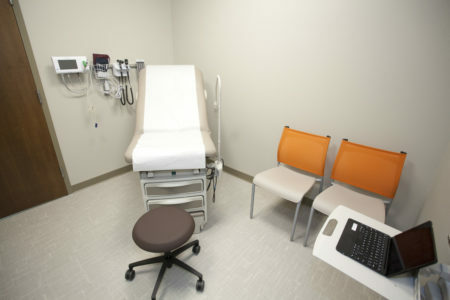 Pre-natal Health Care will be relocated from the Primary Care Clinic, allowing the expansion in Pre-natal and Primary Care services to the under-served community. 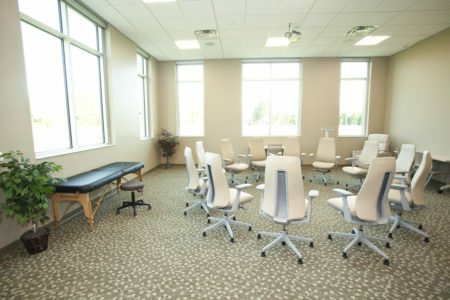 The new Women’s Health Clinic promotes InterCare’s Patient Centered Medical Home model of care in the Exam Suite and Certified Centering Program, which moves prenatal care from the exam room to a comfortable group setting. 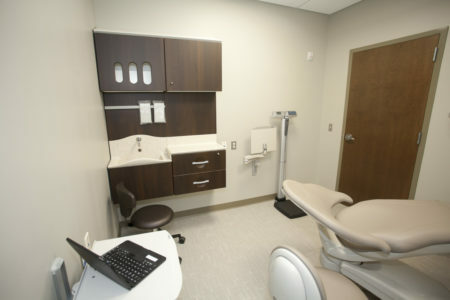 The exam suite includes six Exam Rooms, one Non-Stress Testing Room, one Dental Hygiene Room, one Triage Exam Room, two Care Management Rooms, Laboratory, and Sterilization Room. 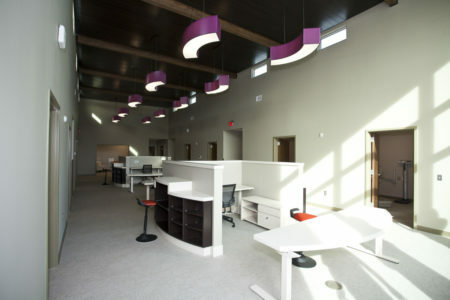 The Centering Room is complimented with restroom, wet bar, and direct access from the gallery style waiting area. Clerestory glazing, exposed timber framing, and acoustical wood ceilings in the entry and exam suite soften the experience for patient and provider by creating less “sterile” environments, and the gallery style waiting area promotes communication and community between soon to be moms. 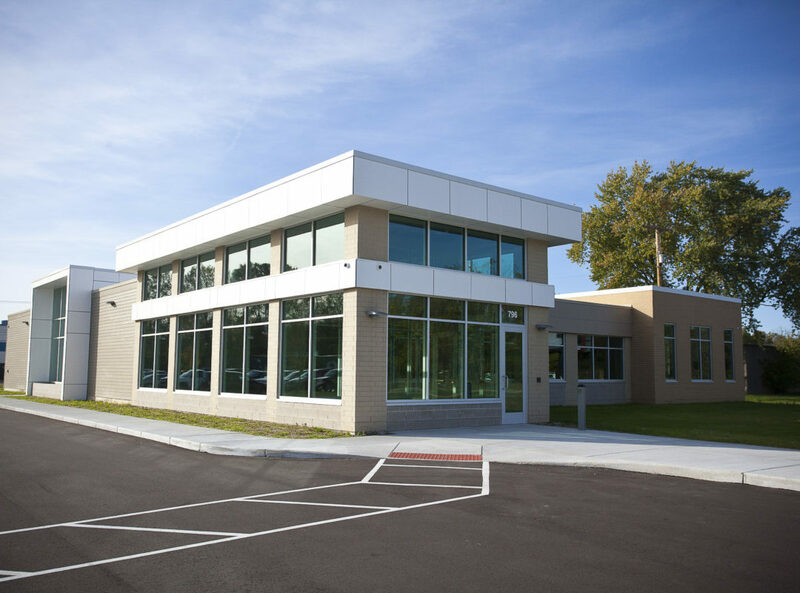 The facility is constructed using 8″ Structural Insulation Panel roof and wall framing which provided a compressed winter construction schedule and enhanced energy efficiency.